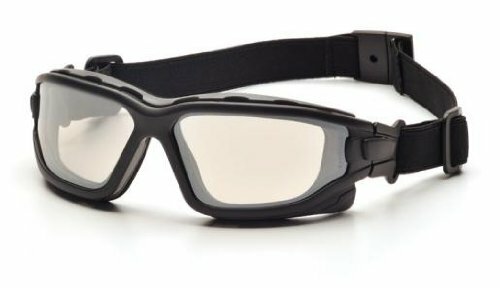 Sporty, lightweight design eliminates the bulkiness and weight of a goggle. Quick Release interchangeable temples and an elastic strap. Vented foam carriage provides maximum dust protection, as well as a sufficient airflow outlet for heat. An outer polycarbonate lens protects against the environment, while an inner acetate lens is designed to prevent fogging. Lenses provide 99% protection against harmful UV rays.